I’m probably the only person who still gets Netflix DVDs in the mail. I mostly stream stuff these days, but I keep the DVD option in case there’s a movie I can’t get any other way for one of my Movie House posts. I finally sat down to watch it and the neighborhood looked so picture perfect, I assumed they filmed on a backlot. 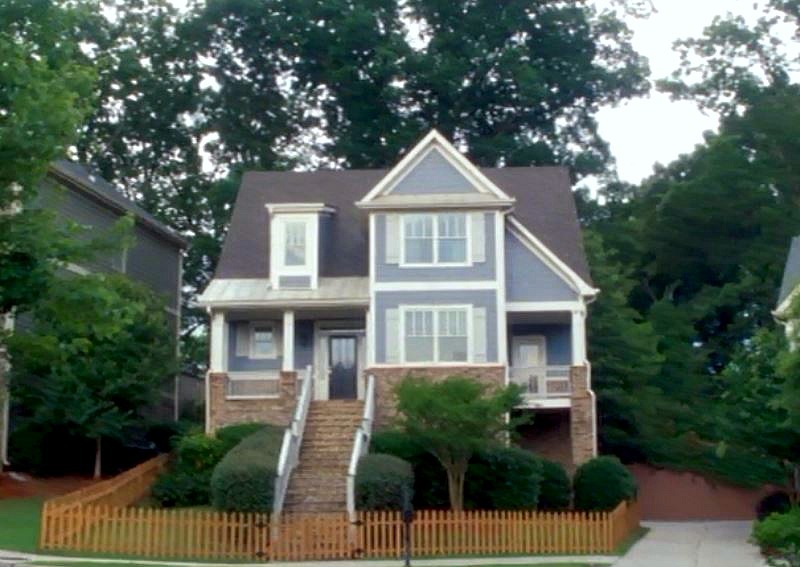 When I looked it up, I was surprised to learn it’s a real cul-de-sac in Atlanta. 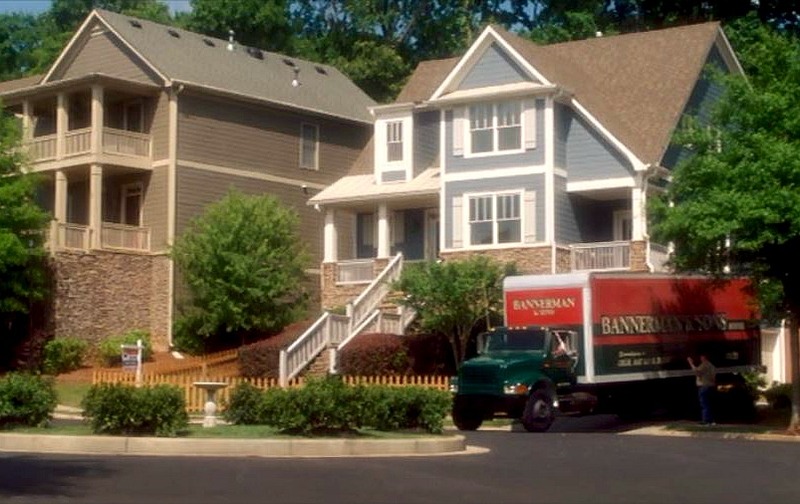 Not only that, but they shot inside the actual houses we saw onscreen, which is a rare thing these days. 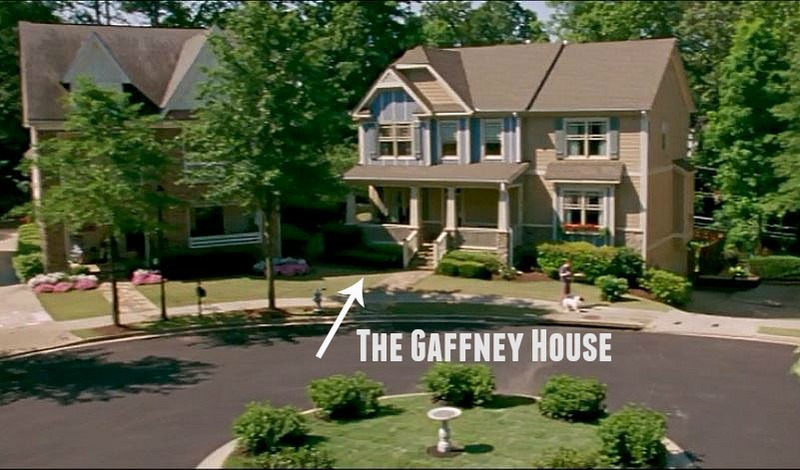 I tracked down both the Jones and Gaffney houses — take a look! 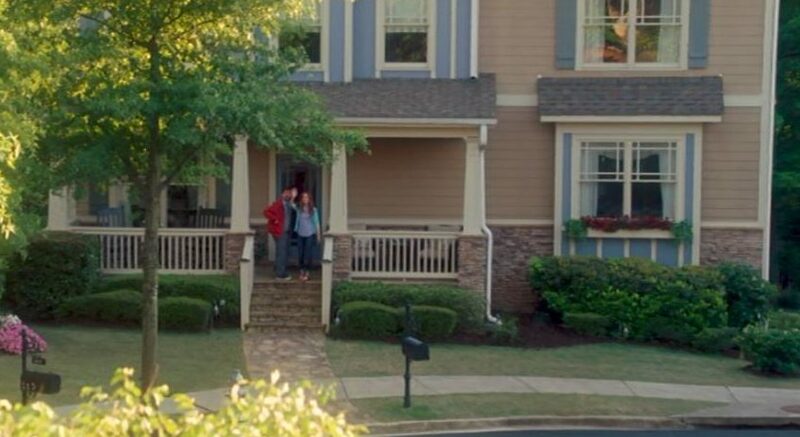 Jon Hamm and Gal Gadot play the Joneses, who move into a quiet neighborhood in Atlanta. Gah! 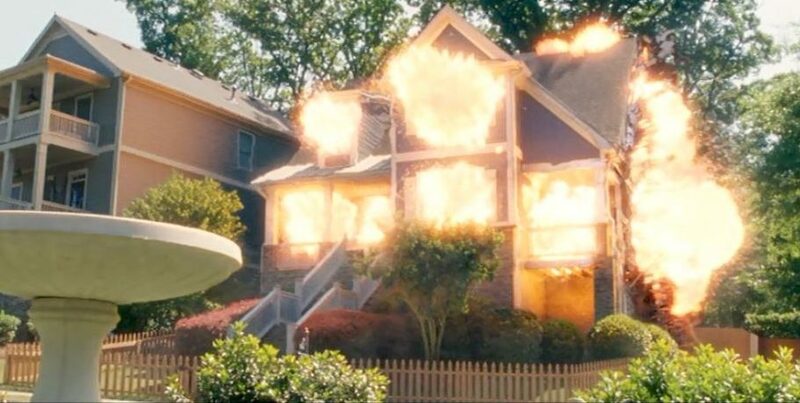 I hate when they blow up nice houses in movies. It looked so different, it took me a minute to realize it was the same place! The house has 3 bedrooms + 3 baths. The house is located in the Dupont Commons neighborhood. Isla Fisher plays suspicious neighbor Karen, who notes the pots don’t look like they’ve been used. Makes me wonder if the house colors were altered digitally instead of with actual paint? This sought after Dupont Commons home is perfection from the stone front porch to the lush backyard! The open main floor plan features a separate dining room, new hardwoods, rich molding, and a newly updated granite & stainless kitchen with breakfast bar. A fireside family room connects to the separate office w/French doors. Large master bedroom suite up plus two spacious secondary bedrooms. Enjoy the gracious deck and patio overlooking the custom landscaped backyard. All this plus an unfinished basement and 2 car garage in the community’s most sought after cul-de-sac. This house has 4 bedrooms + 2.5 baths. Looks like a pretty sweet cul-de-sac to live on, with or without spies for neighbors! See more interior photos of the Jones house here and the Gaffney house here. More location info about “Keeping Up With the Joneses” at On Set Hollywood. Fun – always enjoy these tours! Fun read, as always!!!!!! Thanks! I love the houses. But jon hamm would look good in a tool shed! I had to laugh at your first paragraph, because I also still get DVDs through Netflix. I’ve had some interesting TV series lately so I put that new DVD in right away and send it back pronto. But that hasn’t always been true. Now I’ll have to put this movie into my queue. Thanks, as always.